My love affair with shorebirds continues! 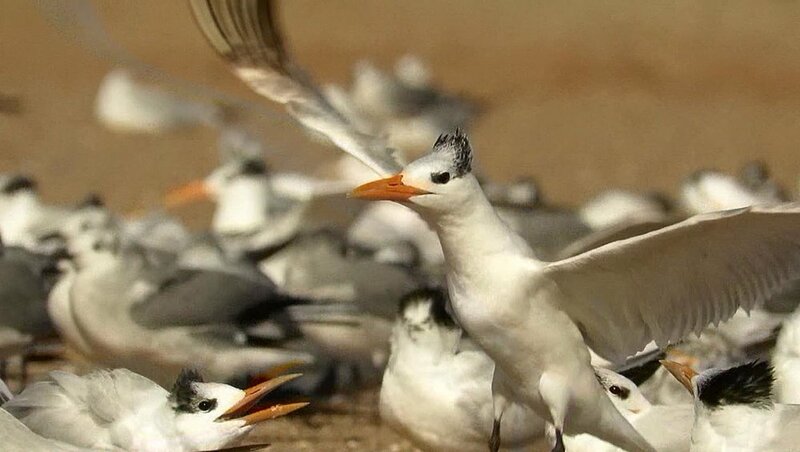 A group of royal terns (Thalasseus maximus) is called a "highness." That seems appropriate for birds with crowns! I had a chance to watch two highnesses of royal terns on October 31 and November 2, 2017, at Midland Beach on Staten Island. I also saw a single royal tern at Broad Channel American Park in Queens on October 17, 2017. You can compare the royal terns with the common terns and Forster's terns on the Cornell site. 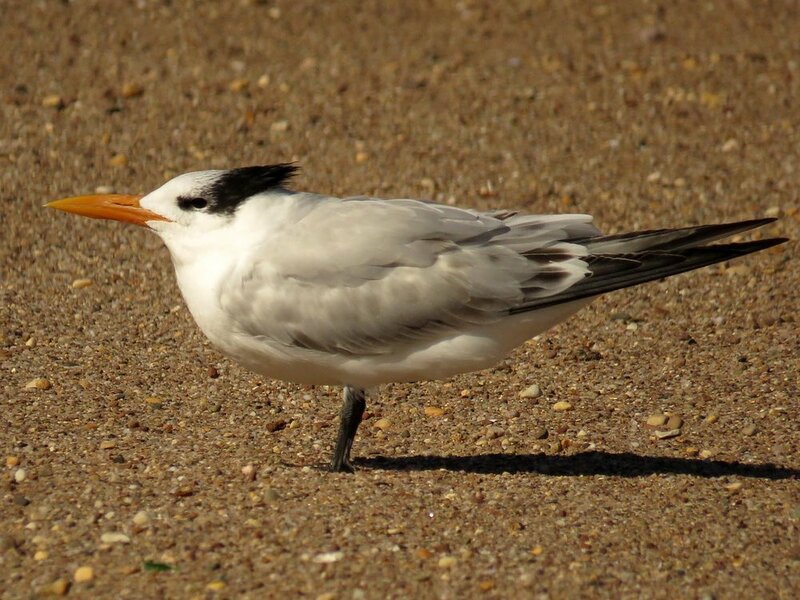 The royal terns are the second largest of the terns (after the Caspian tern), and have distinctive black crests and orange bills. What was particularly fun to watch, as you'll see in the Filming the Feathers video, was the young royal terns persistently discussing world affairs with other terns (actually, it was probably a demand for food from a parent). The young bird would follow the older bird around, chirping and complaining. The older bird most often looked as if she wanted nothing to do with the conversation. (Males and female look the same.) At one point (around minute 7 in the video), you can see one insistent youngster slipping, falling, and getting up without a break and continuing the conversation. I used music by Henry Purcell arranged for recorders and performed by Papalin. But I've also left in the sound of the wind, the waves and the loud conversations. This group of photos was pulled from the video. The photos show flight and displaying behavior. This group of photo features photos from October 31 and November 2. More photos can be found on the Royal Terns page. Newer PostHere Comes Santa Claus!